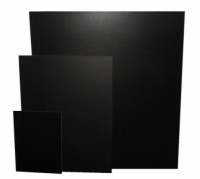 All of our Wall Chalkboards are made with quality in mind and come with the relevant wall fixings. Choose from our extensive range of large blackboards or smaller boards with standard frame options as well as interior or exterior and single or double sided. If you cannot see what you are after then fill out the form on the left hand side for a bespoke quote. 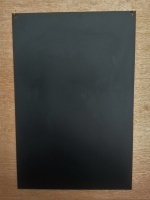 All of our Chalkboards are made from the highest quality sustainably sourced material. 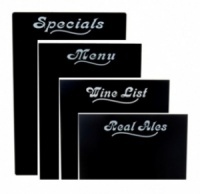 This chalkboard is available in 4 popular standard sizes, we can also supply any custom sizes you require, just ask!